She’s one of our most talented actresses, gracing the small screen since the early 2000s in cult comedy hits such as Peepshow, Black Books and the Green Wing. Olivia has since graduated to more serious roles in hits such as Broadchurch, The Crown and most recently the BBC adaptation of Les Miserables. Alongside her stellar TV career, her movie career has gone from strength to strength too. 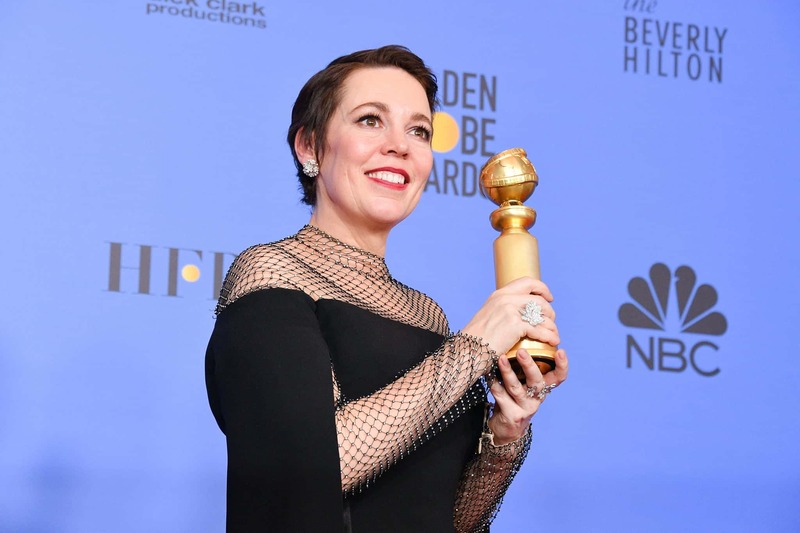 She picked up the Golden Globe just last week for her role in The Favourite. It’s looking to be strong awards season for our British talent. We’re absolutely loving Olivia’s work here at the Cutting Club so we thought we’d take a delve through her hair files and pick out our favourites. Olivia has naturally wavy hair, something a lot of women would automatically straighten or even go as far as a relaxation treatment like Kebelo. But Olivia has always styled her hair to work with the natural texture not against it. From smother waves right through to defined curls. Going short with naturally curly hair can be a big risk. Taming your curls into a shorter style can prove difficult but Olivia has managed this wonderfully by keeping the sides longer and going shorter on top. Her wispy curls adding texture and a playful nature to the style. Up dos are perfect for the red carpet. From a neat little chignon to a vintage inspired do. Using her natural curl a 1920s style has been create in the bottom picture which looks stunning teamed with the green dress. We love covering our hair hero every month and try to feature women of different ages and styles, but is there someone you’d love to see featured? Perhaps an athlete, actress, TV presenter or musician? Let us know in the comments or on social media!